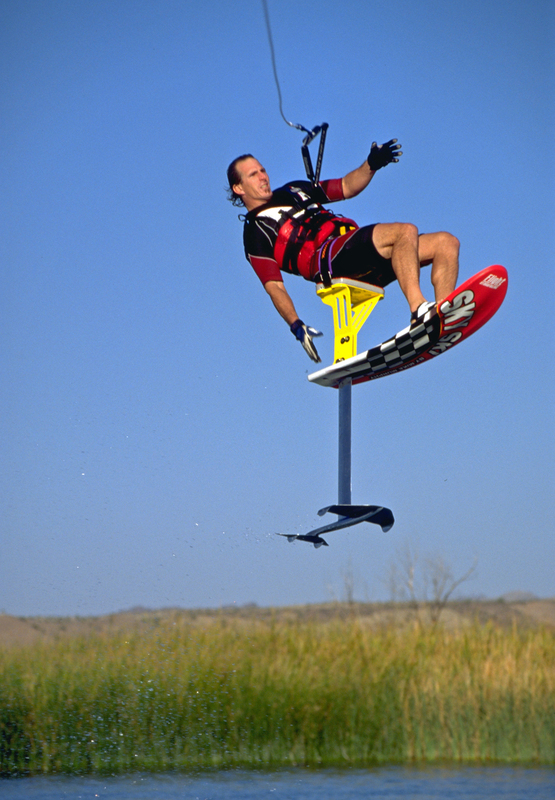 The Floater was a move invented by Ron Stack in 1995 after watching freestyle motocross riders perform no-handed landings. The extended hang time during jumps makes this a perfect move for foiling. Here Klarich performs the Floater after releasing from a tail grab.